This week, The International Cheer Union (ICU), the recognized World Governing Body of Cheerleading and Special Olympics International (SOI) have signed a Memorandum of Understanding to form a partnership that will develop Special Olympics cheerleading programs in the North America region, and support the program’s expansion to other regions of the world. “In the year of our 50th anniversary, we have grown our movement to serve over 5 million athletes in over 170 countries in an effort to create a more inclusive and accepting society for people with intellectual disabilities. With the unwavering support and commitment of the International Cheer Union to develop the sport, more and more Special Olympics athletes around the world will now have the ability to develop and showcase their cheer talents on a global stage,” says Drew Boshell (Senior Vice President, Sport & Health, SOI). 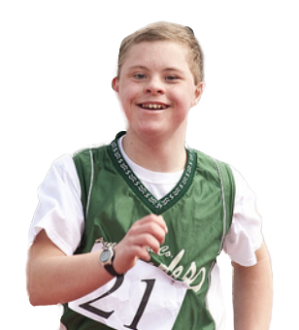 Unified Sports is a fully inclusive sports program that unites athletes with and without intellectual disabilities as teammates for training and competition. Currently, there are more than 7,000 cheerleaders participating in Unified Sports cheerleading programs in nine states across America. International Sport Federations, like the ICU, provide invaluable support to Special Olympics through the structure and network of the national member associations. Successful international partnerships are leveraged to build relationships at the national level to provide Special Olympics athletes access to high quality coaching and competition opportunities. Special Olympics provides International Sport Federations the opportunity to be a part of a movement that uses power of their sport to convene people for a highly impactful social inclusion program while increasing participation rates and relevancy of their sport to a broader group of individuals with and without intellectual disabilities through Unified Sports. The International Cheer Union (ICU) was formed as the non-profit international governing entity whose mission is to advance cheerleading on a global scale. With 110 member nations, the ICU represents all geographical areas where cheerleading exists. The ICU promotes healthy competition, rule development and education for athletes, coaches, and parents. More information can be found on www.cheerunion.org. Photography and b-roll video available upon request.